What is the MOOC platform? Dave Cormier coined the term MOOC in 2008. MOOC stands for Massive Open Online Courses. E-learning platforms that offer the MOOCs with their regular programs are MOOC platforms. Although MOOC platforms are famous, there is little precious data available about them. Anecdotal evidence suggests that the Bill & Melinda Gates Foundation donated a huge amount of $1.4 million to a research group called Ithaka S+R to conduct a study if MOOC platforms are really helpful to students. Ithaka S+R monitors and assesses the quality of courses on various MOOC platforms. To launch edX, Harvard and MIT invested a whopping $60 million. As a part of its venture capital funding, Udacity raised a jaw-dropping $21.1 million. Udacity rejects a monumental 98% of professors. A registered and approved professor on Udacity is almost a rarity. Computer Science seems to be the hot favorite of all the popular MOOCs. 27 percent of MOOCs focus on Computer Science. It does not polarize the public perception of MOOC platforms. Many people perceive them as open source eLearning software, but the concept remains the same despite changing and swinging the meaning. It additionally incorporates the concept of blended learning to become more popular among traditional scholars. In fact, numerous educational institutions have either started their own MOOC software, or they recommend accredited platforms to their regular and distance learning students. Almost all the MOOC platforms in the market facilitate blended learning in certain ways. Wikipedia defines blended learning as an education program that combines online digital media with traditional classroom methods requiring the physical presence of both teacher and student, with some element of student control over time, place, path or pace. Ultimately, MOOCs have made eLearning introduction into traditional learning programs so feasible. Regular college courses are expensive. Many students cannot afford these courses. It was one of the top factors for introducing MOOCs as affordable alternatives. Depending on the platform and course owner, a good MOOC should be available to students in comparatively a much lower cost than the regular counterpart of the same. Some MOOC platforms also provide free courses but take a little fee for certifications. MOOCs are considered as efficient and genuine as the regular courses from registered educational establishments. That’s why they are generally offered by an authorized educational institute or platform. Hence, they should be made available to every learner but only after enrolling through a proper process. Doing so gives credibility and recognition to an openly available MOOC. To give students the same level of education as in regular courses, MOOCs must employ the video lectures on the platform. These recorded or live lectures bring eLearning on the same level of regular classroom sessions. Moreover, they offer additional accessibility with flexible availability of the online lectures. In the same way, video lectures are crucial, the reading material is also important. They are an alternative to classroom notes and books. Students under MOOC must have access to ample reading materials. These are the regular activities that students do to comprehend the concepts better. Small experiments, tasks, discussions, quizzes, small-scale projects, etc. the range of activities may differ from MOOC to MOOC and subject to subject. The platform must provide an online alternative of the same. Since it is not possible to interact with other students and professors in person in a MOOC, the platform must provide an online alternative in the form of discussion forums and threads. A community section for every course where all the students and professors can participate and discuss. Perhaps a Quora-like section where students can raise a question and others can answer to it. Assessments ensure that you are moving in the right direction. It gives you an idea of how the learning is going on and what needs to be done to improve further. A good MOOC platform must conduct regular online assessments to do the same. Projects help the learners implement the theory into practical aspects. If they have learned something they must know the way to implement this knowledge into real-life scenarios. A final project can give the final view of the course progress and let learners self-examine their skills. Combining all the tests, projects, activities, and final examinations, the platform must use its LMS to offer final reports of the course. This assessment will summarize the whole learning experience and convert it into a grading system, which can be an autogenetic report or a manual grading system. In both ways, the final assessment gives an outline of the learners’ participation during the entire duration. Based on the final assessments, an authorized MOOC from an authorized platform or establishments can generate digital certificates and report cards. Useful- The platform must be useful to you. It should offer the course you are looking for in the language you can understand. The course content must be equivalent to your expectations of the topics to be included. Consistent – A consistent MOOC platform does not just upload a course and leave it as it is. They keep a track of it and guide students accordingly. They regularly update the course content and scope. Credible- MOOCs are best when developed by credible institutions and personalities. It’s better if the platform is authorized to certify the students. It’s way better if MOOCs are offered by registered educational intuitions. 3: Choose the course type: vocational, diploma, degree, certificate course etc. 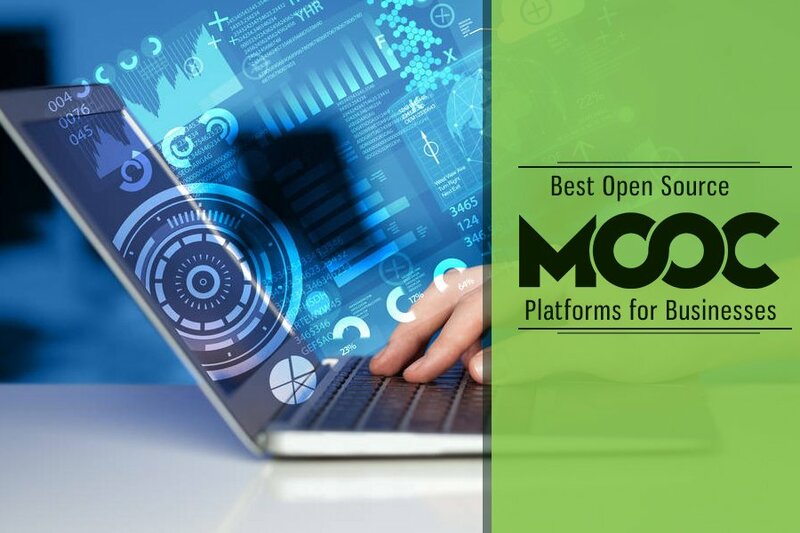 Which MOOC Platform is the best? This is an open source platform used by top-notch universities such as Harvard and MIT to offer courses to over 100,000 students. This platform is the brainchild of edX.org. The best thing about edX is that it can accommodate large enrollments. It is quite common to see edX representing itself as WordPress for MOOC platforms, thereby allowing users to avail the core functionalities. It is true that edX is known for its modern feel. This course management platform has been in the good books of its patrons for three features: modern feel, flexible and robust course organization. Well, this enormously inventive, open source platform requires you to make some investments in platform maintenance. As this is a self-hosted platform, installation of edX framework requires some investment too. Udemy is a trustworthy website where most of the courses are effective. Udemy claims that over two-thirds of its user base resides outsides United States. Most of the courses are free while a few courses are paid ones. Professionals can share their content or sell their expertise by formulating courses – both job related and vocational. Instructors can teach and students can learn through its intuitive interface on the Udemy clone script. The best thing about Udemy is that it allows instructors to divide their lectures into micro-lectures. There are lesson-specific notes available to students and participants. However, most of the courses on Udemy are short. Assessment is pretty inadequate. Udemy lacks in two vital areas- video captioning and language support. Most of the classes do not have the so-called personalized ‘look and feel’. Classes, in spite of being short, look solitary. Certificates of Completion or course completion certificates are shared via social media. For all intents and purposes, Udemy is more affordable than Udacity. Employees should continue seeking new skills to hone their professional skills to get the best out of Udemy clone script. This platform is best for the learners already pursuing certified degree courses from colleges and universities. It offers over 532 courses, out of which more than 24 are accredited to the recognized educational intuitions. It offers the students with a pay-as-you-go model, where they need not pay for the entire course upfront. With over 16 course categories, it offers a wide variety of options to the learners. 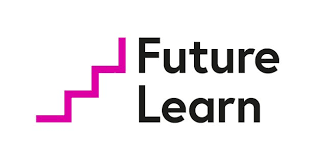 With its parent company Open University, the legacy of the UK based platform goes back to 40 years of University’s learning programs and experience. The ultimate reason to immediately include this platform in our list is its widest variety of courses. Coursera is huge and accommodates numerous partner intuitions and industry experts. It is famous for rejecting most of the professor applications. It does not compromise with qualifications an experience of tutors on the platform. So, if someone says, he/she is a professor on Coursera, it’s really a big thing. With over 3000 MOOCs and 11 academic categories, Coursera is one of the best MOOC providers with the biggest repositories of highly recognized online courses. The prices of the courses range from $20 to $200. You can also explore the course materials for free, but would not have full access to many other features of its LMS such as graded assignments. Udacity is a well-recognized and respected name among the MOOC platforms. It was born from Stanford University, with the first course on the platform being “Introduction to Artificial Intelligence”. The free course attracted over 160,000 learners across 190 countries. The platform is well recognized for its professional courses, Nanodegree programs, and recognized credentials. It’s a master in Web development and Data Science category. With a combined input from subject experts and industry experts, it offers a wide range of MOOCs backed by videos, texts, projects, and personalized mentoring. They also offer tuition reimbursement and job guarantee in certain Nanodegree programs. E-learning, MOOC, MOOC platforms, eLearning software, and LMS, ultimately, all of these software solutions are results of the technological advancements and necessity to take regular learning experience to the internet. With an aim to offer a flexible learning experience in anytime and anywhere setup, online learning platforms have evolved to take different forms today. While many of them get accredited to traditional educational establishments and form MOOCs, their certifications are also well-recognized among the industrial establishments. With advanced technologies like BlockChain and AI-based LMS, MOOCs have evolved to become no less recognized than the regular college courses. So, yes can trust a MOOC in the same way you do to college classroom courses.